With the announcement of an increase in the Equal Employment Opportunity is the Law posting penalty, the maximum fine for federal posting violations rises to $34,169. The Equal Employment Opportunity Commission (EEOC) published an updated penalty level for the “EEO is the Law” posting in the Federal Register on January 18. The penalty increases by $11, to $545 for each separate offense. The increase is the result of an adjustment for inflation, as required by the Federal Civil Penalties Inflation Adjustment Act Improvements Act of 2015. The law requires federal agencies to adjust penalties for inflation each year by January 15. The DOL’s posting revised fines apply to penalties assessed after January 2, 2018. The EEO is the law posting penalty increase takes effect February 20, 2018. 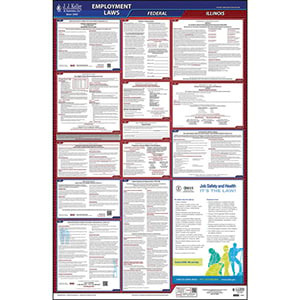 J. J. Keller's State & Federal Employment Law Posters help you meet state and federal labor law posting requirements. J. J. Keller's FREE HRClicks™ email newsletter brings quick-read human resources-related news right to your email inbox. Sign up to receive HRClicks™.